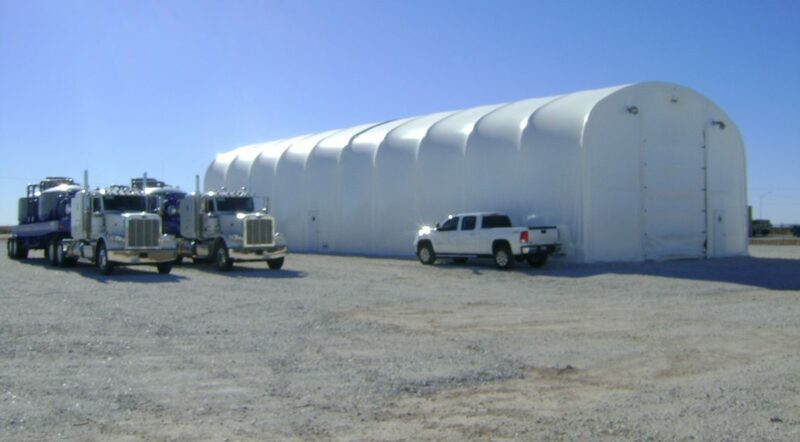 Fabric structures from Big Top offer convenient solutions for oil and gas companies. 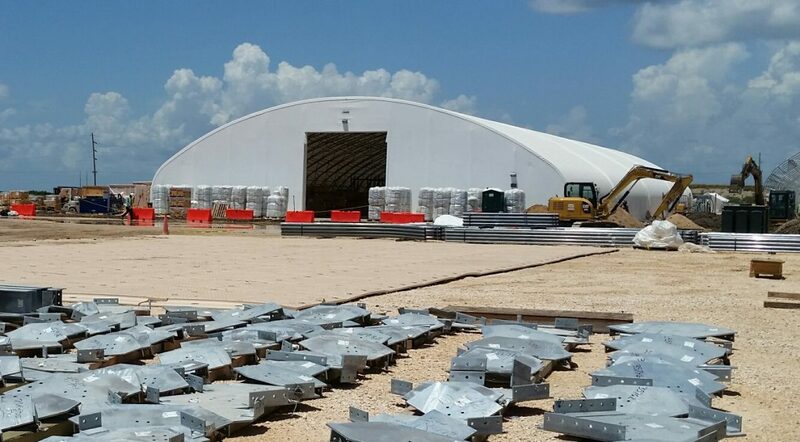 Building permanent structures at your base of operations can be a drain on resources. 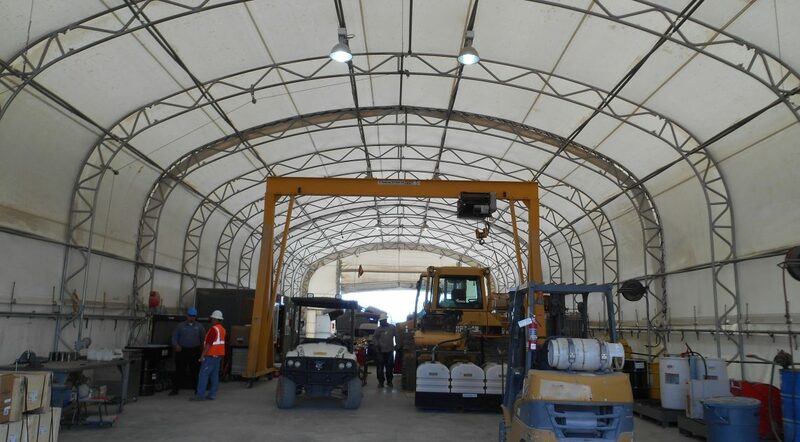 Conversely, with tension shelters, you can save money because they cost less to build. 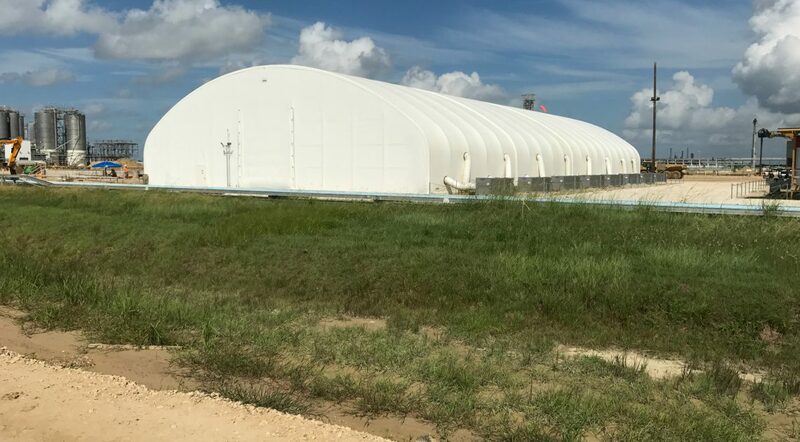 The translucent fabric allows in ample sunlight, eliminating the need to generate electric lighting. 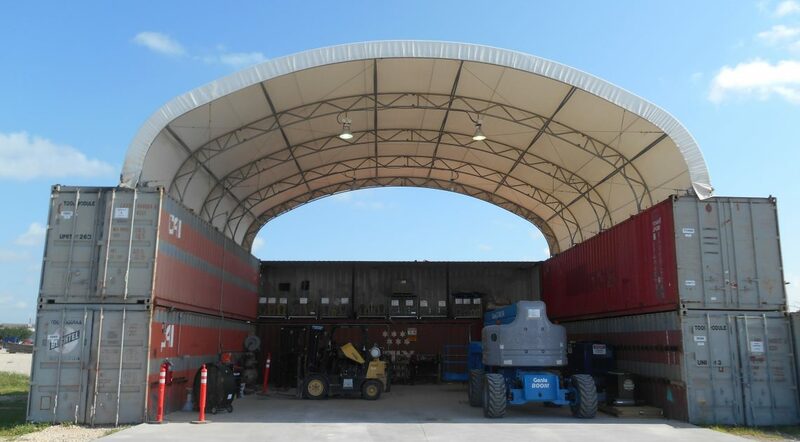 And, because our temporary buildings can be deemed equipment with the IRS, you may be able to receive tax benefits. 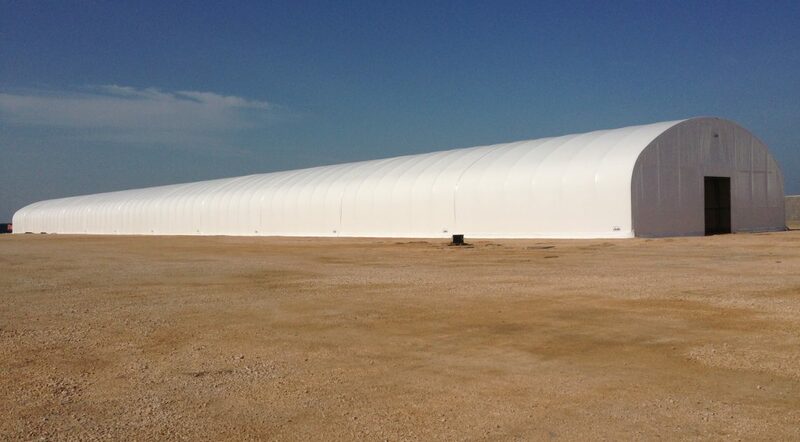 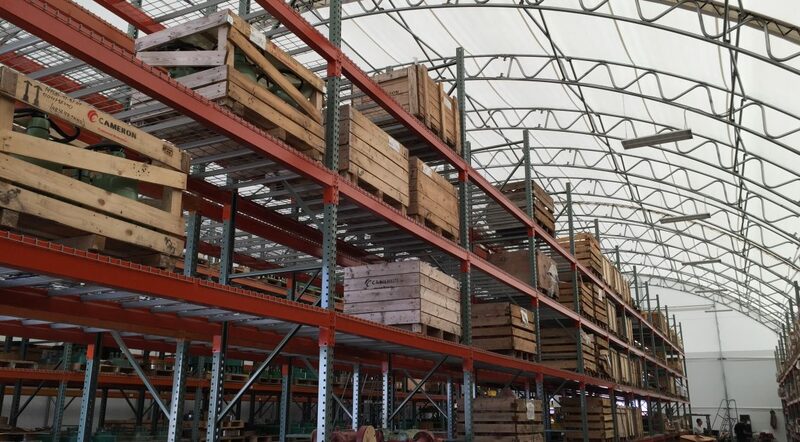 Cost-savings are just the beginning of how our fabric structures stand apart from permanent buildings. 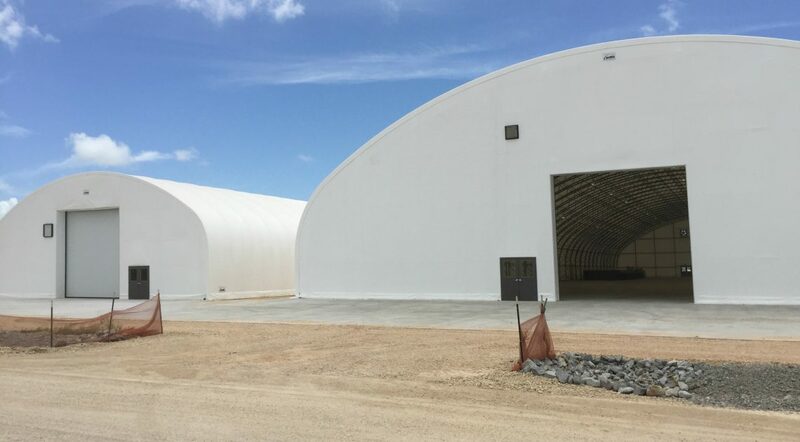 Due to their versatile design, our shelters do not require a concrete foundation, and, instead, can be anchored to just about anything, including dirt, gravel, asphalt, and containers. 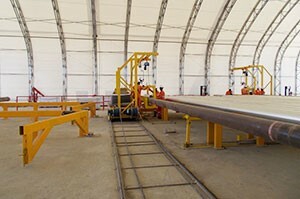 Plus, they can be moved around the worksite with crane rails or a crane-lifting package, as needed. 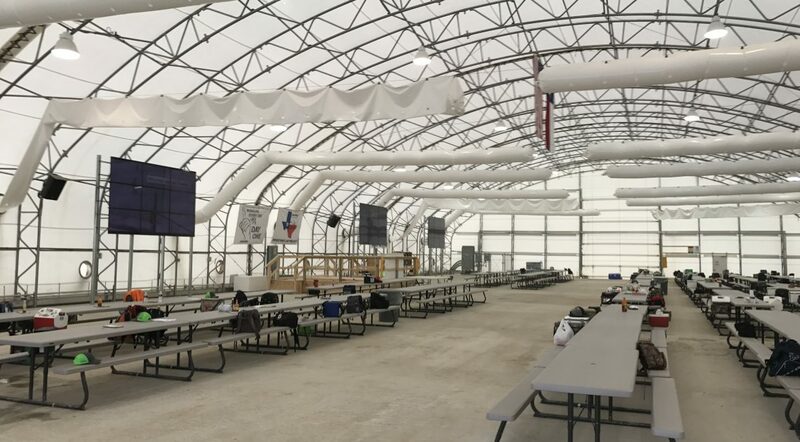 When you conclude operations at one site, our buildings can be disassembled for relocation to another. 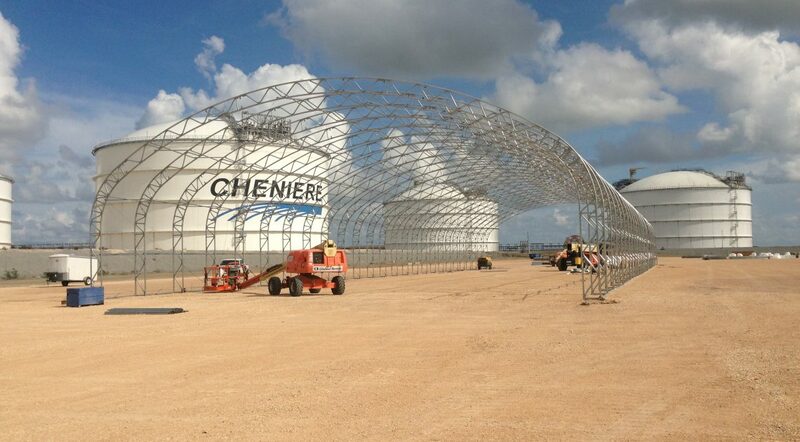 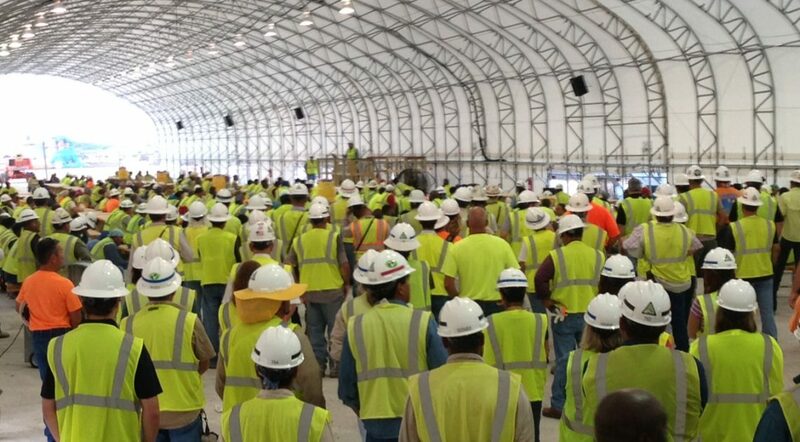 Furthermore, Big Top fabric structures are built to withstand exposure to the elements. 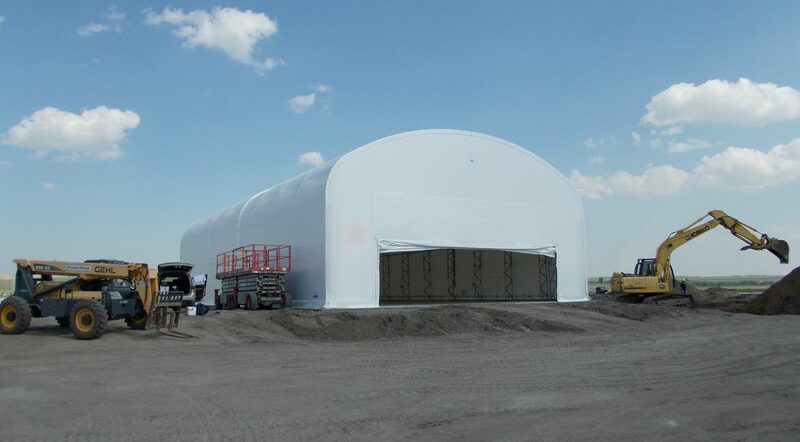 They can protect your equipment, materials, and staff from rain, snow, wind, and heat. 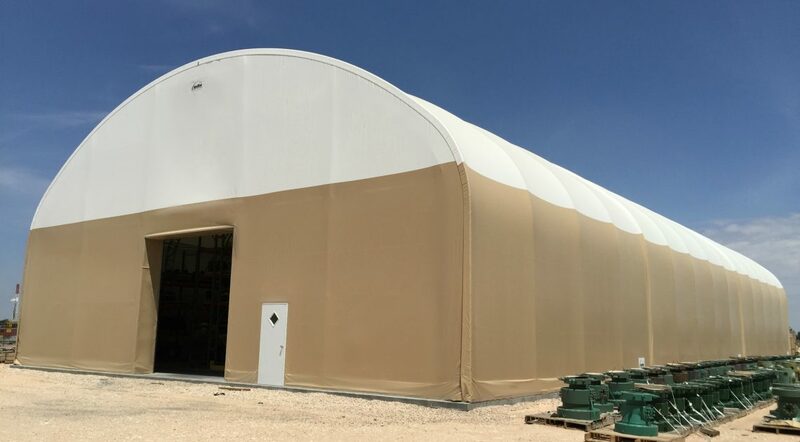 In fact, our tension fabric is specially engineered to block 99.95 percent of UV-A and UV-B radiation, ensuring a comfortable interior temperature that is 15 degrees cooler in the summer and warmer in the winter. 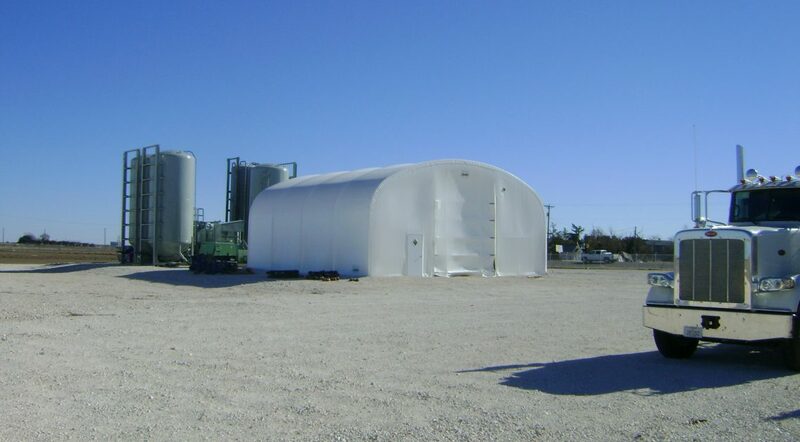 If your operations are based in a more volatile climate, we can also engineer our shelters for heavy winds and snow loads. 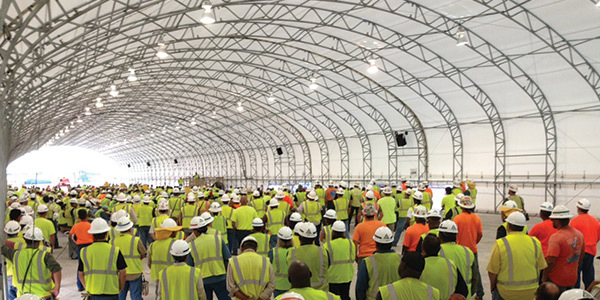 Your business, like so many oil and gas companies before you, can experience firsthand the many benefits of our fabric structures. 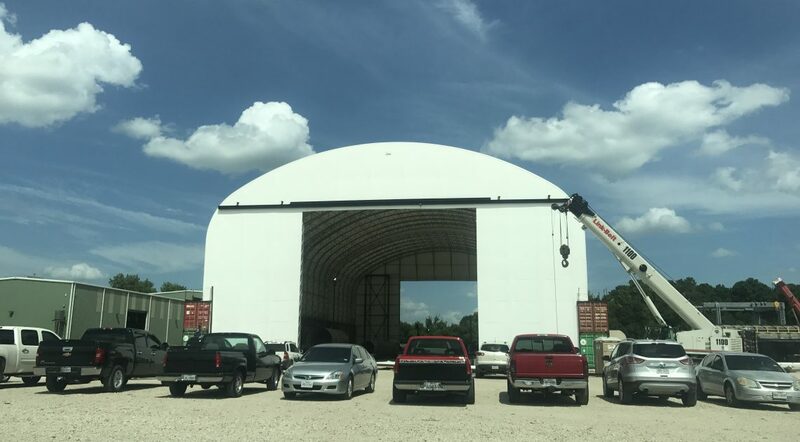 For more information, contact Big Top today.